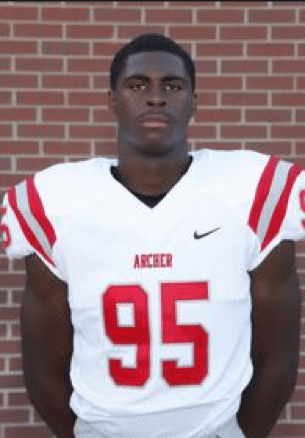 In week 3, Archer defensive lineman Colby Wooden logged seven solo tackles, two tackles for loss and two sacks in a blowout 42-0 win over Mill Creek. Behind Colby’s strong play, Archer was able to deliver Mill Creek its first shutout since 2009. Archer boasts a 3-1 record and is ranked No. 5 in 7A. A blue chip recruit, Wooden has committed to Coach Gus Malzahn and the Auburn Tigers.